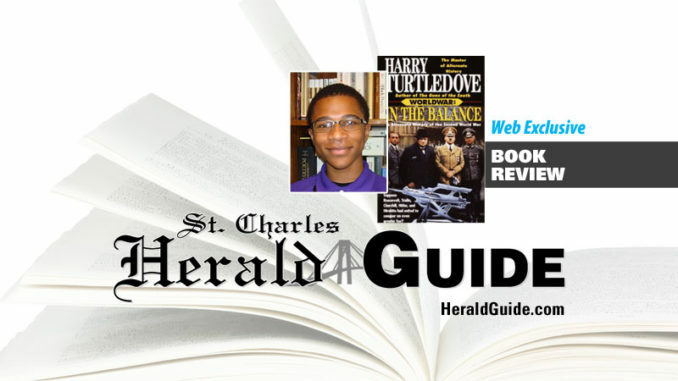 In the Balance by Harry Turtledove asks the question: What would happen if aliens invaded Earth during the height of World War II? The book explores the idea of what would happen if a common foe faced the world. Would Hitler stop invading the Soviet Union? Would Britain stop bombing Germany? Would Japan stop massacring the Chinese? And most importantly, how would the world defend itself from the alien invaders who have far superior technology? The story centers on many conflicts around the world at the time of the invasion. There are over 100 characters within the book and about twenty-five main characters. My favorite character is Heinrich Jaeger, the commander of a Panzer division in the Soviet Union. His story follows the German-Soviet front against the alien invaders. Many characters are related or connected to one another one way or another. This leads to many moments in which the readers are surprised by how each character may inadvertently help each other. The characters are extremely well-written and act like actual human beings would react during an invasion against beings from beyond the moon. I believe In the Balance, and by extension all of Harry Turtledove’s World War Series, is the best alternate history book. The characters are likeable and believable despite their faults. Many characters grow to understand that their country must set aside their differences to resolve the problem at hand. Many characters start to understand that their leaders are not as great as they believed. Also, many characters also go against what they fully believed in prior to the invasion. This is a book about humanity’s last stand, how we can overcome any conflict once we set aside our disagreements and fight for what is truly the ultimate goal: survival. 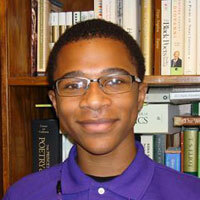 Clyde McLaughlin was a sophomore in the Gifted program at Hahnville High. He enjoys surfing the internet, reading, and playing video games.